There’s a lot that the musical and mathematical genius have in common. In 1967, John Coltrane gave a drawing, which the musically enthusiastic among you will know as the ‘Circle Of Fifths’, to saxophonist and musical professor Yusef Lateef. The drawing incorporated many of Coltrane’s own innovations. Coltrane was a fan of Einstein’s work and was once quoted as saying he was trying to simulate it within music. It was an epic blend of the mathematical and the divine - a spiritual re-imaging of musical theory – implementing his passions for both theoretical and unearthly traditions. Theolonious Monk once said that “all musicians are sub-consciously mathematicians.” That certainly rings true for the artist I’m speaking with today. 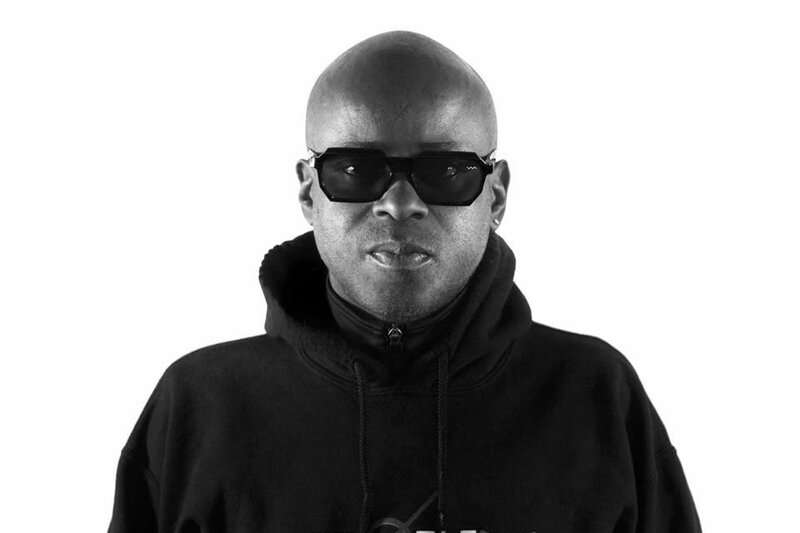 Juan Atkins, the originator of techno alongside Derrick May and Kevin Saunderson, has just finished a busy day of interviews discussing his new Cybotron live show when we connect over the phone. For those that don’t already know, Cybotron were a pioneering American electro group formed by Juan Atkins and Richard ‘3070’ Davis in Detroit during the early eighties. They provided the futuristic soundtrack to a Detroit in transition from an industrial heavyweight to a post-industrial wasteland, implementing a synth dominated sound paired with a drum machine. Looking back at releases such as ‘Alleys Of Your Mind’ and ‘Cosmic Cars’, it really is quite astounding that these pieces of art were created during a pre-technological era. Now, as we rapidly approach the future that was once only dreamt of, Atkins is looking forward to implementing new technologies into the Cybotron concept. The correct configuration that Atkins speaks of is a collaboration with Pilot – a next generation video, lighting and laser control system that allows complicated designs to be built and pre-visualised in its 3D real time simulator. That isn’t the only thing that’s new, either. Alongside the new live show will also be new Cybotron material, which will be a part of currently untitled Cybotron album. I’m keen to learn of Atkins creative process for the new work. Did he stick with the original technology he would have used during the early eighties? Or has he blended this with new musical technologies? Cybotron may be considered electro, but they have also had a huge impact on the early techno evolution. Techno was once regarded as the sound of the future, but if feel likes we are approaching that once distant dream at quite incredible pace. With the new Cybotron live show, we are viewing musical mathematics in its most spellbinding form. Juan Atkins has always been forward thinking, ever since the first creative juices went into his early records, but it really makes you wonder, what can possibly be next? Is there no end to what can be produced, musically and visually, through contemporary technology? Expect Atkins to be jamming on an alien planet sometime soon, but for now you can catch the debut of the Cybotron live show at the Barbican Centre, London, on April 12th.